Play the super-charged new version of Rocket Mania Game. 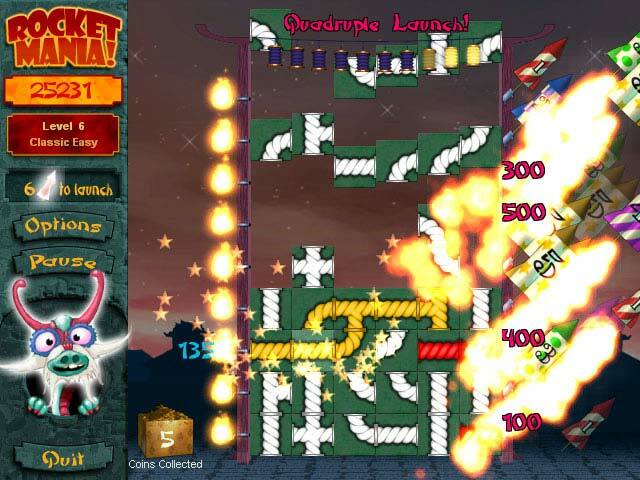 The Deluxe Rocket Mania game is just for you ! 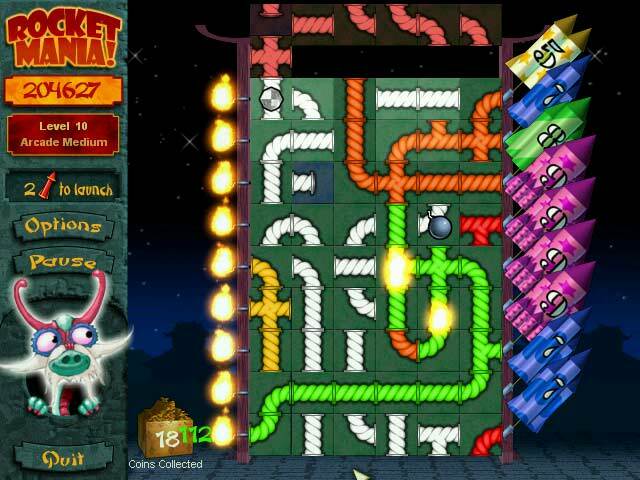 Rocket Mania Deluxe Game - Twist and turn the fuses to link a burning match to one or more rockets, then watch the sparks fly! Upgrade your rockets for bigger bangs by collecting coins along the way. But watch out - set off your fireworks by dawn or the show is over! How many can you launch at one time?. Three gameplay modes: Classic, fast paced Arcade mode and untimed Strategy mode. Exciting musical score and bone-rattling sound effects! Save your games and continue later. High scores for all three modes! Play offline, full screen or windowed! 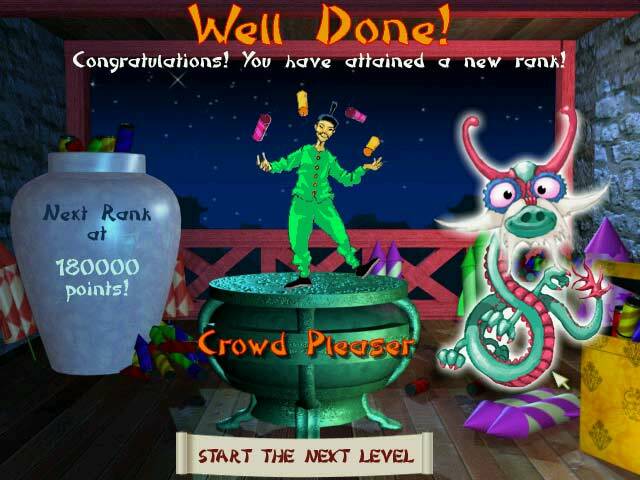 Advance in rank as you play: can you become the Master of Pyrotechnics? Valhalla Blocks - A chance to get one of the best remakes of classical logical game! VortHex Game - Catch Some fast and furious hexagonal tile matching fun with VortHex. Word Wizard Deluxe - is the ultimate word challenge with enough depth and variety of play to keep you entertained for a lifetime. Word Mojo Gold - A simple word mojo game to create crossword game that is both challenging and fun! Weave Words - A fun new PC word game where you must try to uncover well known phrases and sayings! 2250 unique phrases to play! Word Up - Power Up your spelling fun! Word Link - An interesting variation of word Search puzzles! 20 puzzles to try and Unlimited number of puzzles In registered version! WordBlitz Deluxe - It is simply a MUST-Download for Word game lovers, Just download WordBlitz Deluxe Game now. Word Emperor - A new compelling Crossword Puzzle Maker, crossword puzzle game to make a crossword Puzzle for you! Snowy: Puzzle Islands - From the creators of Snowy comes a new mind-warping puzzle: Puzzle Islands!